Do something good and thick for your skin with Lise Watier, Bio-Beaute by Nuxe and L'Occitane! 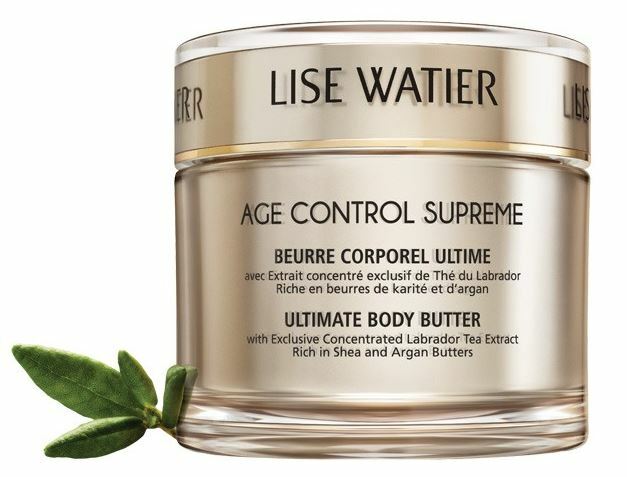 Lise Watier Age Control Supreme Ultimate Body Butter - 200ml - $70 - prevents dryness of the epidermis by hydrating deeply for up to 48 hours after a single application to protect skin from dehydation and keep it feeling comfortable. Contains a concentrated extract of Labrador Tea which is rich in antioxidants, vitamins, trace elements and ursolic acid which offer restorative powers and anti-aging properties along with shea and argan butters for a velvety rich texture that soothes even the driest skin. Bio-Beaute by Nuxe Anti-Tightness High-Nutrition Balm - 200ml - $29 - 98.9% natural with a thick, melting butter texture, it provides intense nourishment and soothes sensations of skin tightness for 24 hours to protect even the most sensitive skin. Contains a natural version of cold cream - you know that stuff your grandma used to clean her face with - but in this natural-origin version of it, the mineral oils have been replaced with equally effective sweet almond oil - rich in mineral salts, vitamins A, D & E and essential fatty acids that give it its high emollient and moisturizing properties. Not only that, but also makes it smell great - naturally! As well it contains: organic beeswax - to reinforce the skin's barrier and reduce dehydration; organic rose water - to refresh, moisturize and soften; organic jojoba oil - to encourage repair of the skin; shea butter - to regenerate and protect; and coconut oil - to intensely nourish and protect. L'Occitane Almond Milk Concentrate - 200ml - $59 - a re-launch of a favourite product with a new formula that offers stronger firming benefits thanks to tightening walnut and almond extracts - to help protect the elasticity of the skin and stimulate cell renewal; combined with almond proteins to help visibly tighten and smooth the skin for long lasting hydration - its rich, deliciously fragrant care that helps nourish and visibly soften the skin. Available at all L'Occitane boutiques across Canada.